Rush playing "Summertime Blues"? That's a bet no fan of the band would dare take until this month. We're talking about a prog-rock trio that once fit only four songs on a single album and accurately subtitled one of them - a nine-minute opus divided into 11 parts - an "exercise in self-indulgence." What were the chances that the combo would tackle such a ubiquitous - and simple - three-minute, three-chord romp already covered by everyone from Alan Jackson to The Who? "It's quite a different vibe, but it was a lot of fun to do," says bassist and vocalist Geddy Lee. And it's the lead single to the group's latest project, an EP of nothing but covers culled from the three members' memory banks. An aural celebration of their 30 years together, Feedback comes out Tuesday and features songs they remember from their teen inspirations, including Buffalo Springfield ("Mr. Soul" and "For What It's Worth"), The Yardbirds ("Heart Full of Soul") and Cream (Robert Johnson's "Crossroads"). 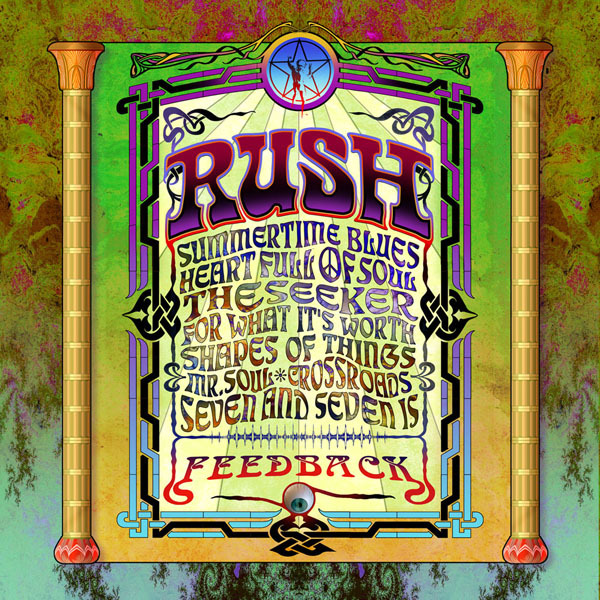 And, for the record, it's Blue Cheer's more extreme version of Summertime Blues that Rush remembers. "I've never really heard Eddie Cochran's version," Lee says. "My first exposure was Blue Cheer's version. It was a pivotal moment in my life, hearing his raucous, three-piece band with all this feedback." The idea for Feedback came from a Toronto record store owner and good friend of Lee's, who wondered how the band planned to celebrate three decades together. (Lee and guitarist Alex Lifeson have actually performed together since 1968; original drummer John Rutsey left after the band's first album, replaced by Neil Peart in 1974). "We've always ignored these anniversaries. Your manager is the one who wants to exploit every one," the bassist says. The band's 30th anniversary tour stops at Red Rocks for a sold-out show Tuesday. "I kind of felt that way this time as well. I would have preferred if (the 30th anniversary) had passed by quietly. But the other guys thought, 'You know, this is an accomplishment. Maybe we should stop and appreciate all that we've gone through. Maybe it's OK to have a moment of nostalgia and reflection.' I think maybe they were right about that." So after 17 studio albums and a handful of live releases (which combined have accounted for more than 35 million in sales), Rush finally recorded songs the three members didn't write themselves. "Over the last 10 years we've talked about doing a cover song as one of our encore tunes in concert," Lee says. "So the idea wasn't completely foreign. Once we started, everyone said, 'Hey, this is fun.' Everything we tried turned out pretty darn good." The band had a few rules for choosing what would be covered, and not every song survived the test. "The criteria was that it had to be something that we could call our own, but at the same time we wanted to pay homage to the people we liked without wrecking the song," Lee says. "That was the No. 1 rule: we couldn't wreck the song." That ruled out just about anything by Jimi Hendrix. "We wanted to do a Jimi Hendrix song, because he was so influential. But you can't touch Jimi, man. He's untouchable. "We put together a rough version of Manic Depression, which is just an awesome song. But you put my voice on that, and it just sounds all wrong. You put this skinny little white guy from Canada on there, and it's just not the same vibe. "I found the same thing with Zeppelin songs. It's so much about the people playing them. "But we could have done an entire album of nothing but Who songs. We could have done an album of nothing but Yardbirds songs." Once the list was whittled down, the band headed into the studio and a much simpler setup than it has used in decades. The members recorded live off the floor, eschewing a click-track to set the rhythm, computer programs to adjust the pitch or much overdubbing to patch songs together. "We went back to fiddle with some of them, but mostly we just added a few great moments of feedback. We tried to get feedback in each and every song." The relaxed, retro feel will carry over into concerts. The band hit the road this summer in a much lighter mood than on its previous trek behind Vapor Trails (2002), the band's first album and tour since Peart's daughter died in a car accident and his wife died from cancer. "This is quite a different tour for us," the bassist says. "So much of Vapor Trails was about recovery - a little bit of walking on egg shells, making sure everything was fine, making sure he was OK. We felt a lot looser, and he's in great mental shape right now. He was really pushing for this tour. I think he felt renewed and energized from Vapor Trails." The band also insisted on playing some noteworthy venues that have always been too small for their fan base and stage show. The Hollywood Bowl and Red Rocks top the list. "One of those questions we always ask our managers is, 'How come we never play (Red Rocks)? It's supposed to be so beautiful.' So we accommodated. I don't think we can get our full show in there, but we'll get most of it in there. "I've never been to the venue itself. But I saw the U2 video and it just looks beautiful."